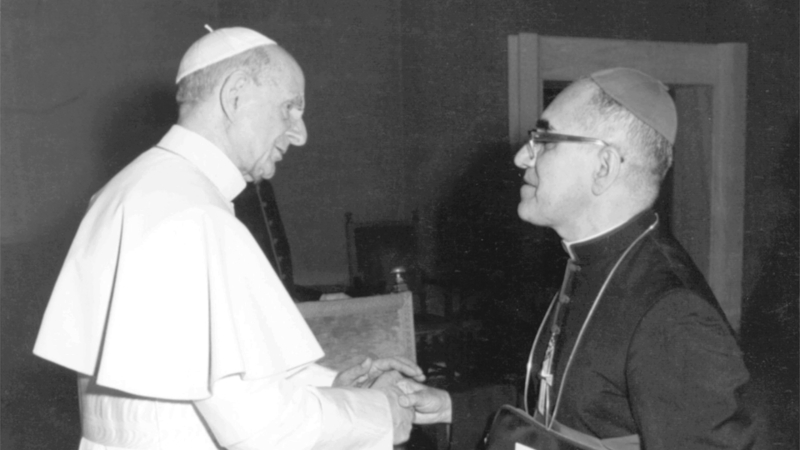 Since their canonization on October 14, Saints Óscar Romero and Paul VI have been honoured in many ways. Recently in Rome, the Vatican Dicastery for Communication celebrated the Archbishop of San Salvador with a special event entitled "Romero, Communicator," and the Vatican Museums hosted "The Artist is Prophet and Poet," an exhibit paying homage to Paul VI. Pope Francis warns against the sin of "murmuring" in his daily Mass homily. Vatican Dicastery for Communication celebrates new saint with "Romero, Communicator" event. Vatican Museums host "The Artist is Prophet and Poet," paying homage to Pope Saint Paul VI. Archbishop Gomez: 'Pray hard' for all affected by California shooting. After a shooting spree late November 7 at a country-music bar in Thousand Oaks, California, Archbishop José Gómez of Los Angeles asked people to "pray hard" for the victims and their families. Francis: there are people who get sick and die from unhealthy water, it’s a huge shame. "It is an immense shame," Pope Francis said, expressing his regret that there are people who do not have access to clean water in a message to an International Conference entitled, "The management of a common good: access to drinking water for all." Pope recognizes martyrdom of U.S. Christian Brother. Pope Francis has recognized the martyrdom of De La Salle Christian Br. James Miller, who was born in Wisconsin and was shot to death in Guatemala in 1982. Cardinal Pietro Parolin on the bones found in Vatican Nunziature. Vatican Secretary of State, Cardinal Pietro Parolin, responded to journalists’ questions about the bones found in the Vatican Nunziature to Italy, saying, "There has been no connection made with Emanuela Orlandi." Vatican Christmas post stamps feature art from prisoner serving life sentence. As the Christmas season draws near, the Vatican postal service prepared a unique set of commemorative stamps designed by a talented, yet unlikely, artist: a prisoner serving a life sentence. Catholic schools in Australia to receive funding increase. Catholic schools in Australia have secured an increase in funding from the government following an outcry from Catholic leaders, but some Australians have been questioning the Church’s tactics in securing the funding.